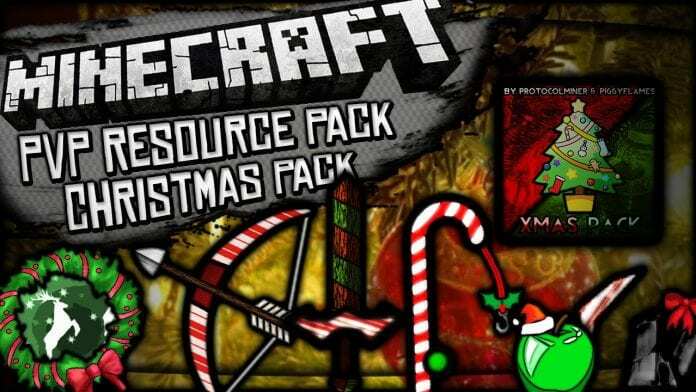 CHRISTMAS PVP texture Pack for Minecraft 1.8 is a very immersive PvP texture pack which was created by pack maker ProtocolMiner who now goes by the name of UnCle Dr3w. This PvP texture pack features Christmas themed replacement textures including full new custom Christmas themed weapons, armor, fishing rods, and tools. CHRISTMAS PVP texture Pack for Minecraft 1.8 has a very colorful set of blocks each custom to the bone with Christmas colors such as a gift-wrapped box block, gingerbread cookies, candy cane fishing rods and tons more. 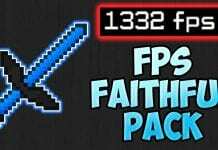 This pack was also designed for PvP so this means that this has very fast FPS. No need to worry about performance issues. How to install CHRISTMAS PVP texture Pack? If you don’t know how to install the CHRISTMAS PVP texture Pack just look below, we’ll provide you with a short tutorial there. This installation guide should work with all Minecraft versions. To see the Official Download Links just scroll down. 2. Download the CHRISTMAS PVP texture Pack from the official links.